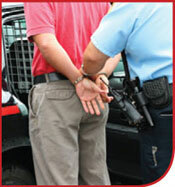 This course is designed to introduce our students to the basic concepts of criminal law. The course will outline the definitions and elements of the common law crimes against persons, crimes against property, and the various legal defenses available to criminal defendants. In addition, certain topics in criminal procedure will be covered to highlight the constitutional safeguards and procedures involved from arrest through trial. Describe the necessary elements for the prosecution of any crime. Determine whether a crime has been committed based on a fact pattern, and, if so, which crime has been committed. Describe the basic elements of the various common law crimes. Research and apply the elements of a crime in various state or federal jurisdictions. Research criminal codes and apply the elements of a crime in various state or federal jurisdictions. Prepare a memorandum with regard to a question of criminal law in a hypothetical fact pattern. Describe and apply the various defenses that are available under the criminal laws of different jurisdictions. Apply federal and/or state sentencing guidelines (where applicable) to convictions.